Hey guys so after convincing a friend to go for a GM, i decided to order 2 of the 2018 neon 808s from PDC. They were already on 40% off but we saved another 15% by ordering 2. All in all they cost us £102 each with about £10 each on shipping and customs. Its my first experience with a 5 star GM bat and i really appreciate the whole pickup index concept. So the one with heartwood on left handers outside edge has 9 grains, weighs 2lb9.5oz and has a pickup index of 3. The other one without any heartwood has 8 grains, is an astounding 2lb7.8oz and has a pickup index of 1. The batmaker initials on both is JP. Both of them have identical max edges of 38mm and max spine height of 63mm. Also identical in slight concaving. Handles are typical thick GM semi oval. And the same crunchy press of GM. Ping is great on both but i felt the heavier one pinged slightly better. Though i think im gona pick the lighter one still. Video review coming soon but in the meantime here are the pics. Ohh wow we have the actual batmaker here on cbf! This place continues to amaze me! Mr. JP care to comment on your handywork? Which one should i keep? If we don't beat you we'll knock your bloody heads off. I have read that about SD but why PDC? I have always felt that they are much more customer friendly. At least they don't steal VAT on non-EU shipments. Decent sticks for the price. Personally I love the GM Neon I own 3 and just bought a 4th this evening. Since switching to the slightly shorter blade as my main match bats seems to have improved my game and the Neon offers decent sized bats with superb pick up and very long middles. Thanks alot guys. To those wondering pdc is always my go to for "UK brands" equipment due to my great experience with their customer service and their cheap shipping fees. Not to mention very hassle free. And they deliver to my doorstep in 3-4 days tops. I've used PDC a few times and have had good experiences with them. 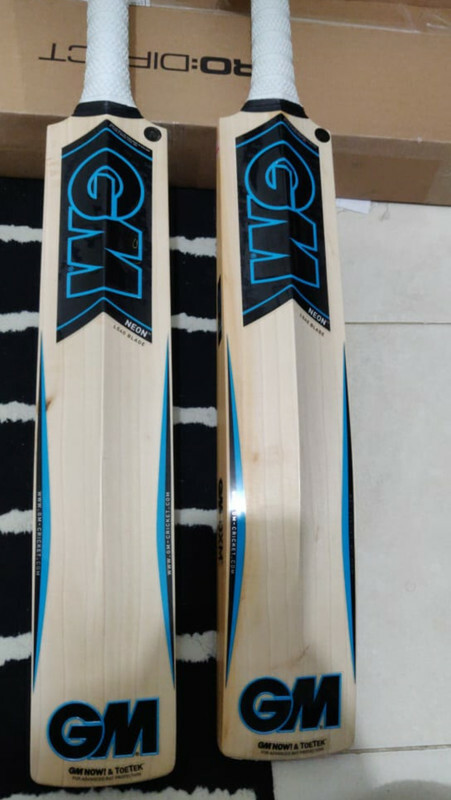 To be honest I've had good experiences with most of the well known cricket retailers... guess it takes 1 order to go wrong... how do the zelos and neon differ? Thanks reason I asked is.. 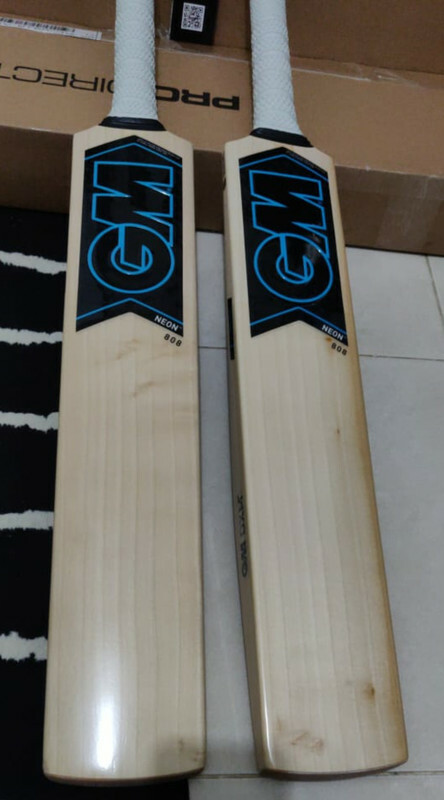 I've also liked the shape of the Zelos... GM bats are just on the money this year... fast becoming my favourite off the shelf bat brand and am struggling to see a reason to go elsewhere at the moment for my wants! Next season could be interesting if I find I enjoy using the Mythos over the Noir. Page created in 0.703 seconds with 42 queries.